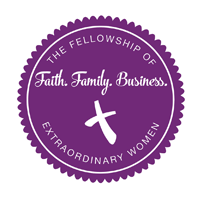 Lead in Faith, Family or Business the way you were created to after attending the FEW Women's Leadership Conference. This jam-packed 2-day interactive conference for Christian Women will change the way you see God, yourself and others and therefore catapult you into your God-given destiny as a LEADER in Faith, Family and Business. Discover your true identity and how to walk in it. Learn how to master the highest form of leadership by learning to lead YOURSELF! Based on the 50 Commands of Christ, this course will transform your spiritual, relational and professional life. Register for $675 instead of $900 when your friend registers, too! This offer is available for a limited time only!